The Brooklin Redmen are celebrating their 53rd season of Senior "A" Lacrosse in Ontario. 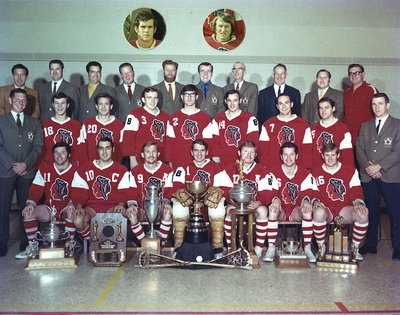 The Redmen are an essential piece of the lacrosse fabric in Durham Region and have been in a name or other since 1961. The Redmen a community operated and funded lacrosse club. In 1961 Brooklin was granted a senior lacrosse franchise. 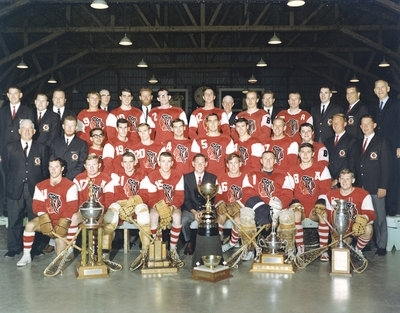 From 1961 to 1964 the team was known as the Brooklin Hillcrests. In 1965 the name was changed to the Brooklin Merchants. In 1966 the name was changed again, this time to the Brooklin Redmen. 53 years later we remain the Brooklin Redmen. Over the years and 7 Canadian Mann Cup Championships later we have produced several Ontario and Canadian Lacrosse Hall of Fame members. This years’ edition has two coaching staff who are Canadian Lacrosse Hall of Fame members. Many players and builders have come to the Redmen family over the years and have become successful both on the floor and off. Many have put back into the game of lacrosse helping in our grassroots being the minor lacrosse systems. Without them there would be no Brooklin Redmen. The Redmen have become one big family of lacrosse people. The Redmen have won the MSL Championship 13 times in our history.